Big show tonight for all you Northerners! I am so jealous! 🙂 It looks like it’s going to be a great show tonight for all you Aurora Borealis fans out there. The results of the suns Coronal Mass Ejections (CME’s) a few days ago from sunspot 1401 are starting to take shape! Major show expected around 6am UTC. Can’t wait to see peoples pictures! Solar Activity has noticeably been on the rise lately! Hope it keeps it up 🙂 Come on Sun! 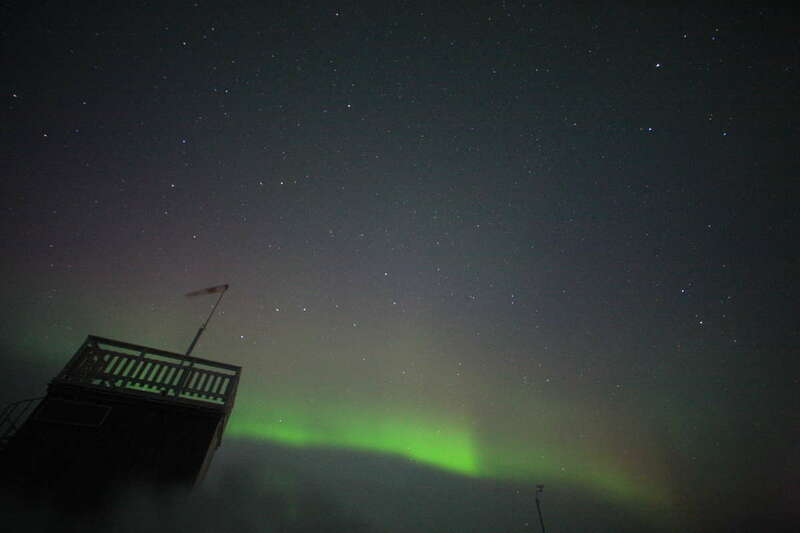 A live webcam shot from the Aurora Sky Station is already starting to reveal the beginnings of very early Auroras! A good sign! Previous Post A week with Aurora Hunters? Next Post We have no time, to Stop & Stare.